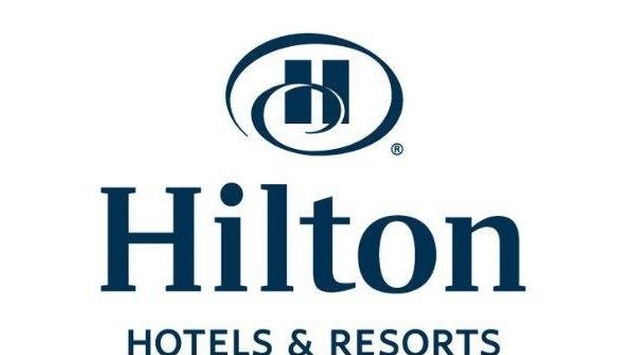 The Pulse: Hilton Worldwide has inked a management agreement to operate and build a new hotel in Colombia. Hilton Worldwide has announced the signing of a management agreement with Fideicomiso Santa Marta Hotel to operate a new build Hilton Hotels & Resorts property in the Caribbean port city of Santa Marta, Colombia. Scheduled to open in 2017, this new Hilton Santa Marta hotel represents the company's 14th hotel project in Colombia including its portfolio of seven existing operating hotels and seven currently under development. 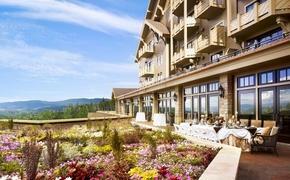 This latest agreement furthers Hilton Worldwide's commitment to growth throughout the country. "We're excited to bring the Hilton Hotels & Resorts brand to Santa Marta," said Rob Palleschi, global head, full service brands, Hilton Worldwide. "Hilton Santa Marta will be a welcome addition to our established portfolio in Colombia, perfectly complementing our successful Hilton Bogota and Hilton Cartagena properties, and introducing Santa Marta's business and leisure travelers to Hilton's signature brand amenities and hospitality." Located on one of the most sought-after beach sites in Santa Marta, the beachfront Hilton Santa Marta will form part of the Irotama mixed-use complex in the Bello Horizonte tourist corridor. Just 15 minutes from the airport and 20 minutes from Santa Marta's downtown and historic city, Hilton Santa Marta will offer guests a prime location on the Caribbean Sea to enjoy the area's best beaches. "As Hilton Worldwide continues focusing on Latin America growth, Colombia represents a prime market for our efforts. We couldn't be happier to work alongside the team at Fideicomiso Santa Marta Hotel to further our expansion and introduce the Hilton Hotels & Resorts brand in this resort area," said Tom Potter, senior vice president, Caribbean, Mexico and Latin America, Hilton Worldwide. "With seven existing hotels in Colombia and seven in our pipeline, we look forward to playing a part in the country's consistent tourism growth and welcome travelers to explore this dynamic destination." Ideal for both leisure and business travelers visiting Colombia's oldest surviving city, the 17-story Hilton Santa Marta will offer 261 guest rooms, executive rooms and suites, all outfitted with the Hilton Serenity Collection of amenities. Guests staying in an executive room or suite will enjoy the added benefit of the hotel's executive floor service and executive lounge, which will offer light snacks and beverages throughout the day. Dining options will be plentiful with six restaurants and bars, featuring a signature restaurant serving breakfast, lunch and dinner; an executive lunch restaurant; and four bars including a grill bar, pool bar, sky bar and refreshment bar. Guests of Hilton Santa Marta will also enjoy recreational amenities including outdoor swimming pool, fitness center and world-class spa. A great base for events and business travelers, Hilton Santa Marta will provide more than 11,000 square feet of flexible meeting space including a nearly 4,500 square foot ballroom. A business center boasting cutting edge work spaces and seamlessly integrated technology will also be available for guests to work with efficiency and style. "This is an exciting time for our company as we celebrate this historic joint venture with Irotama S.A.S., and work with Hilton Worldwide once again. Following the great success of Hilton Bogota, we look forward to bringing Hilton Worldwide's 95 years of renowned service standards and exceptional guest experiences to Santa Marta," said Felipe Gamez, principal, Felipe Gamez & Cía Arquitectos S.A.S. Hector Mario Diaz, principal, Irotama S.A.S. added, "We are delighted to partner with Felipe Gamez & Cía Arquitectos S.A.S. and work with Hilton Worldwide on the development of this new upscale full-service Hilton Hotels & Resorts property in the stunning Colombian Caribbean." Accessible via direct flights from Bogota and Medellin, Colombia, Santa Marta is the oldest surviving city in the country. Known as a sister city of Miami Beach, Florida, this Caribbean haven welcomes visitors with everything from beaches and mountain ranges to national forests and cultural heritage. The hotel will participate in Hilton HHonors, the only guest rewards program that allows members to earn Points & Miles for the same stay and redeem points for free nights with No Blackout Dates at more than 4,200 hotels worldwide. Hilton Worldwide currently has a portfolio of 64 hotels and resorts open and welcoming travelers in Latin America, including seven hotels in Colombia. The company is actively pursuing additional Latin American growth opportunities and currently has a development pipeline that includes seven projects in Colombia. For more information about Hilton Hotels & Resorts, visit hilton.com or news.hilton.com.